Step forward Miyuki, Katsuro's grief-struck widow and the only remaining person in the village who knows anything about carp. She alone can undertake the long, perilous journey to the Imperial Palace, balancing the heavy baskets of fish on a pole across her shoulders, and ensure her village's future. The Office of Gardens and Ponds is a beautiful, lyrical work that captivated me right from the first page. 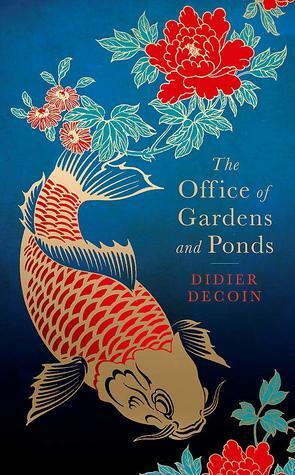 Decoin weaves an intricate world of magical realism through which the reader swims as if they too were one of Katsuro's carp. Miyuki is an engaging and interesting character, and I was invested in her from start to finish. I also loved the flowing, descriptive prose that engaged all the senses. It is a visceral work, but wonderfully so. I would recommend this to readers who love poetic, lyrical prose with hints of magical realism, and I would certainly be keen to read more from this author in the future, perhaps in the original French next time.